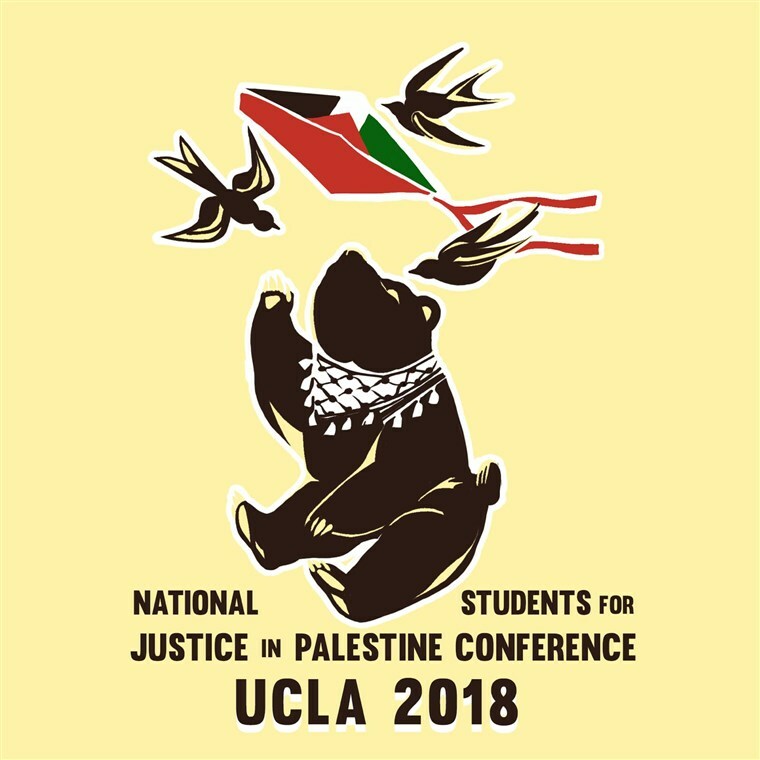 NSJP’s poster depicting UCLA’s name and a bear resembling the school’s mascot. A subsequent version of the poster does not include the school’s name. 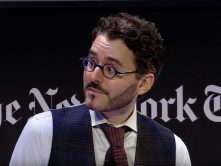 But that information was inexplicably missing from a Nov. 7, 2018 NBC News report about an anti-Israel poster depicting a kite resembling those used to attack the Jewish state. 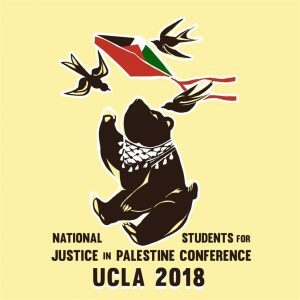 The poster, created by the extremist campus group Students of Justice for Palestine (SJP), advertises a conference organized by National Students for Justice in Palestine, scheduled to be held at UCLA later this month. 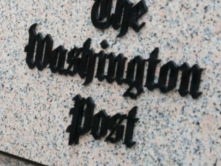 NBC covered the controversy over the poster after UCLA lawyers sent SJP a cease and desist letter demanding the group stop using the university’s name and bear mascot without permission, particularly in a way that may imply the schools endorsement of violence. The NBC report, though, misled readers by incorrectly suggesting UCLA was opposed the depiction of a “Palestinian flag,” as opposed to the kite. 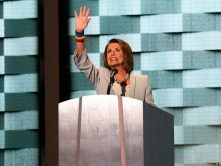 And NBC inexplicably failed to mention the use of such kites to attack Israel, even though UCLA’s letter explicitly referenced those attacks. UCLA, a public university, demanded in its letter that the organization not use renditions of the Bruin Bear, its mascot, in association with the Palestinian flag, which some interpret as an endorsement of violence against Israel. NSJP, which has a student chapter at the school, called UCLA’s commentary on its design a “racist and gross mischaracterization” of the kite. The group said the kite is a symbol of freedom for Palestinians and a common past time for children in Gaza. 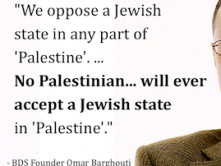 NSJP also denied using the specific UCLA Bruin Bear in its artwork. A Palestinian in Gaza prepares an incendiary kite used to attack Israel. 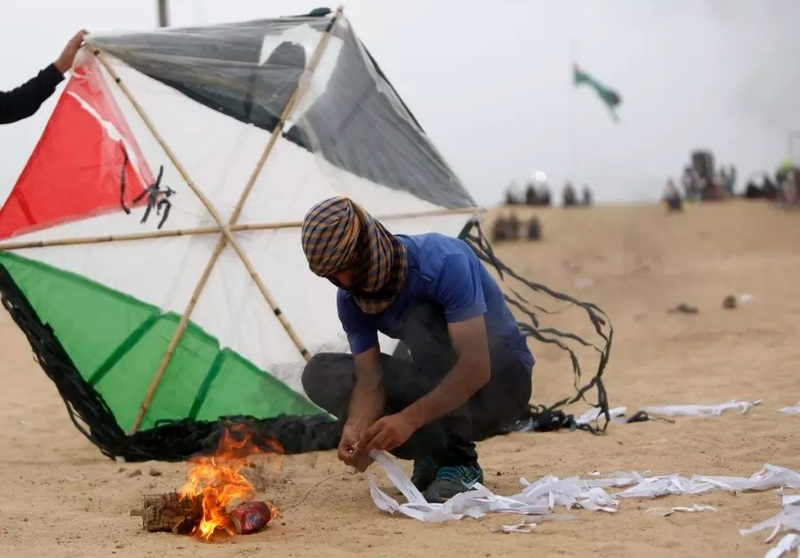 To its credit, NBC forthrightly corrected the story to make clear it is the depiction of the Palestinian flag kite that led to concerns that the poster endorsed violence, and added the context that explains why the kite is seen that way. “Kites have also been utilized with balloons by Hamas to send incendiary and explosive devices into Israel,” the story now notes. CORRECTION (6:55 p.m. 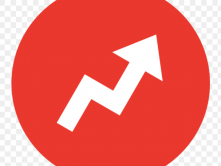 ET, Nov. 9, 2018): An earlier version of this article referred incorrectly to UCLA’s issue with the NJSP poster by leaving out the word “kite” after “Palestinian flag.” The school specifically objected to the image of the kite because they have been used by some groups to launch incendiary attacks on Israel.